2kg, 2.3kg, 3kg, 4kg, 4.5kg, 5kg, 7kg C02 extinguisher compresses C02into colourless liquid which has been stored in the high pressure cylinder of the annihilator. 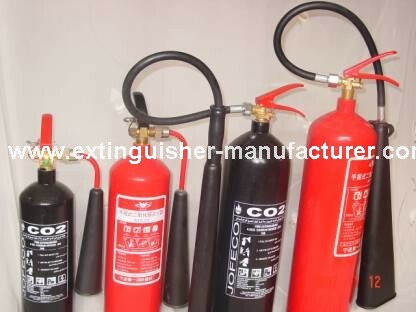 It is used to put out early fire disasters such as various combustible luquid, gas, steam; electric appliances and so on. It is widely applicable for the occasions such as oil fields, oil depots, liquefied gas depots, distribution & transformer station, vehicles, ships, historical relic archives etc. It leaves no trace after fire extinguishing. It replaces for alkylogen annihilator.